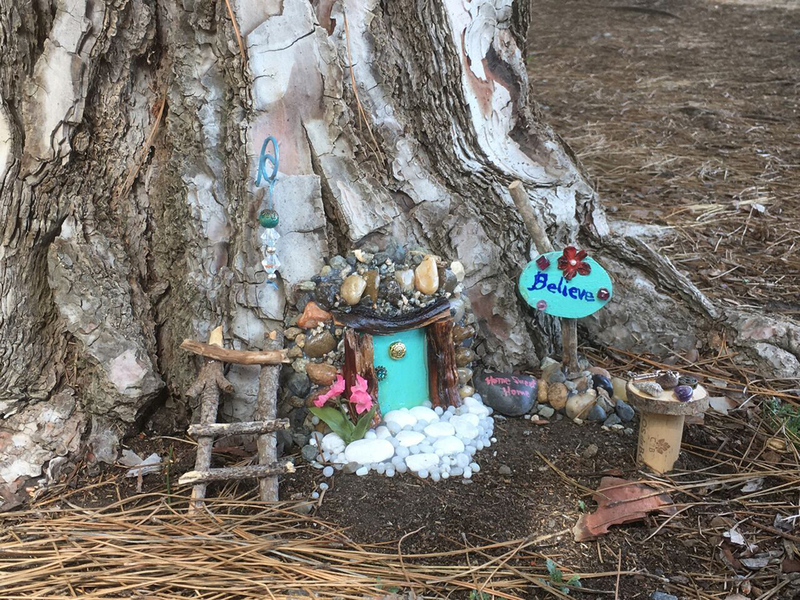 Tucked in the hills of Mission Viejo, a fairy village has appeared along the Oso Creek Trail. 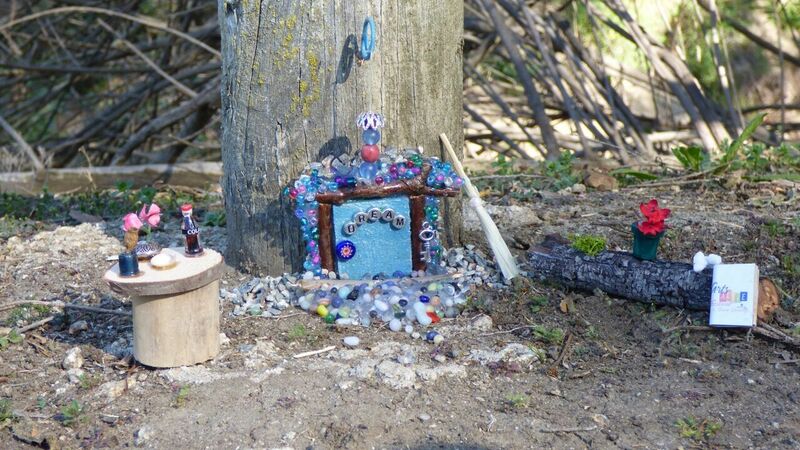 Seeming to pop up overnight, the little homes reflect the personalities of the mythical creatures. 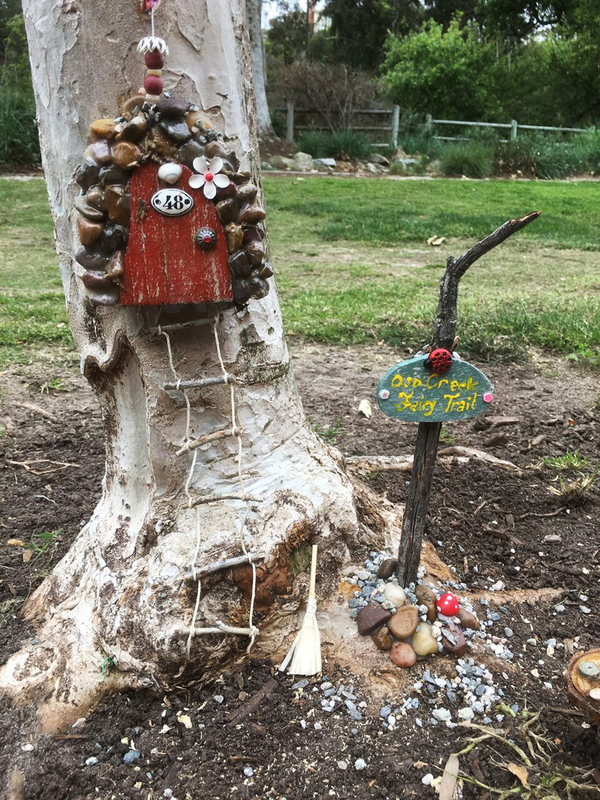 Some are decorated with shiny, decorative rocks, trinkets, and flowers, while others are more modest with twigs and dried leaves. 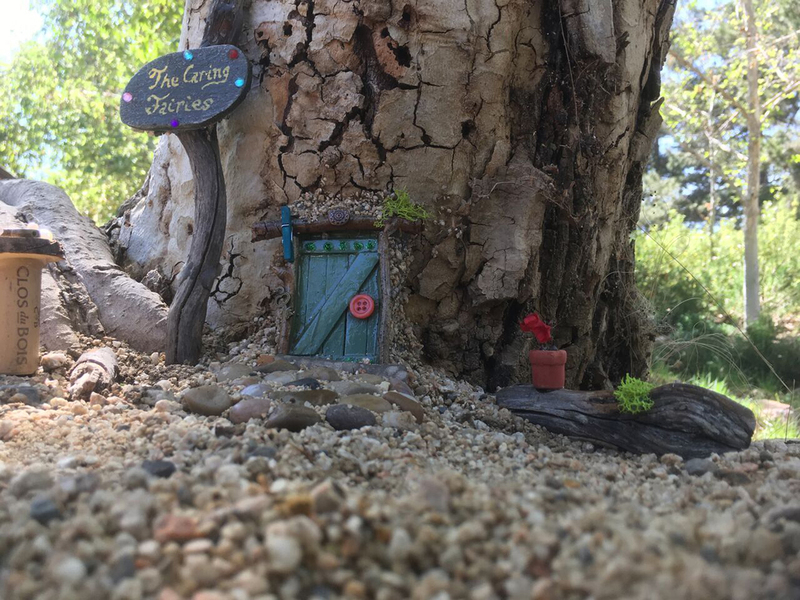 While some may have already been spotted, the fairies will all officially move in on April 21, just in time for Mission Viejo’s 11th annual Arts Alive & Street Painting Festival on April 28 and April 29. 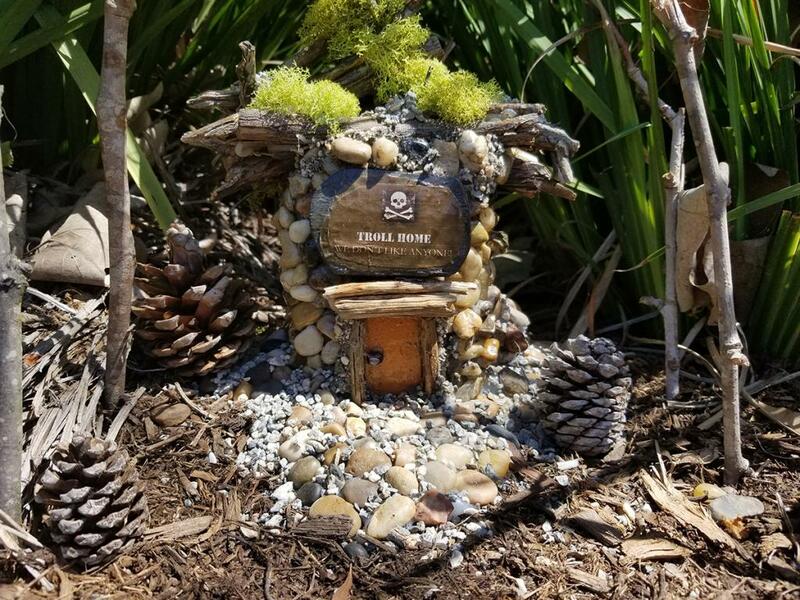 Created by artist and self-proclaimed fairyologist Andreas Frank, the first iteration of this fairy village was first installed along the Aliso Creek Trail in 2016 and became a source of wonder and curiosity for the children in the area. “The parents loved it because it got kids away from the Nintendos and games and into nature,” Frank says. The families Frank met along the trail soon began helping him populate the village as more homes appeared. 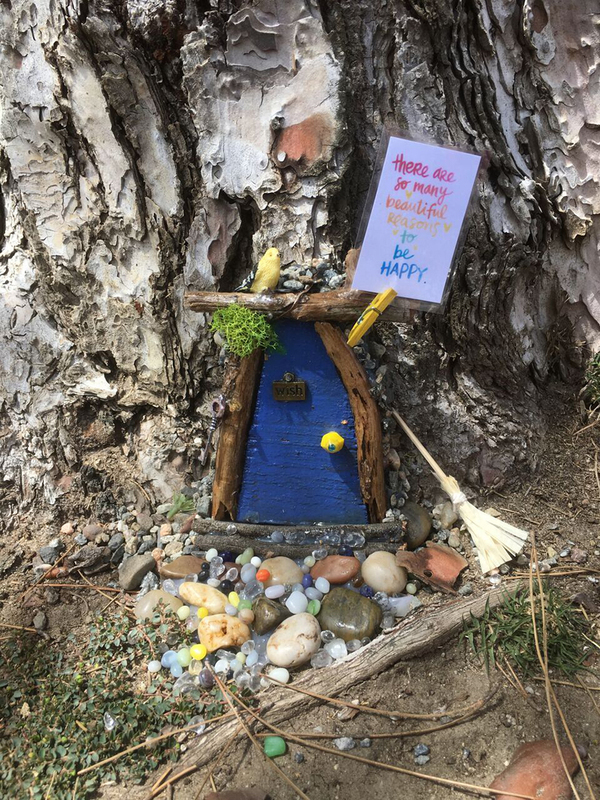 Volunteers included Davida Mason, who still helps him maintain the trails, and Kathy Kuiper, who wrote “The Caring Fairies,” a children’s book about the fairies which will be released mid June. “My family started visiting the trail every week, and it really got us excited to get out and exercise together,” Kuiper says. Frank’s project began after he underwent back surgery for a noncancerous tumor and received a doctor’s order requiring him to go on walks to help in his recovery. 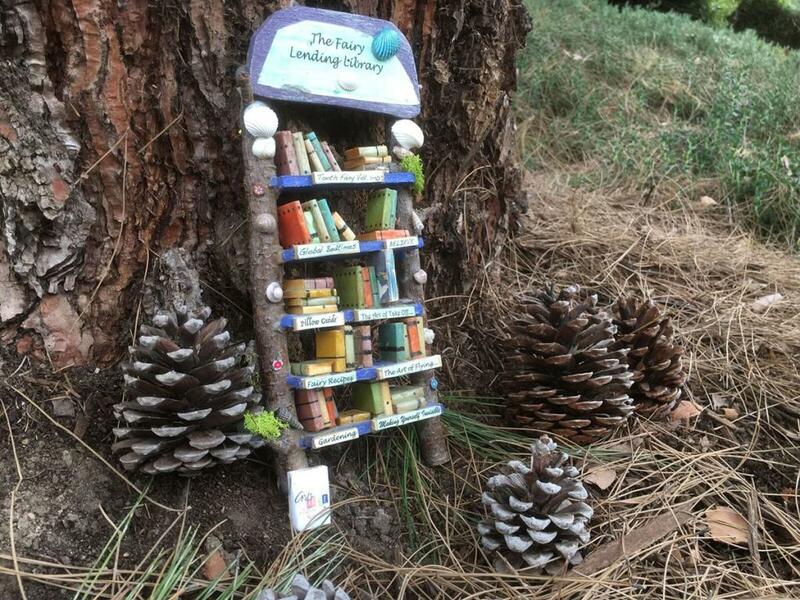 Living in Laguna Niguel at the time, he soon fell in love with the natural environs and wanted to inspire wonder in the children who lived in the area. Over the next few years, the homes began appearing along the trail, many of which consisted mostly of sticks, dried leaves, and rocks from the surrounding areas. But the more homes that appeared, and the more people who came to visit, the less sustainable the trail became. Parking became an issue, as did the long two-mile walk (each way) that lacked sufficient shade. “It got so big that the fairies needed to find another place,” Frank says. 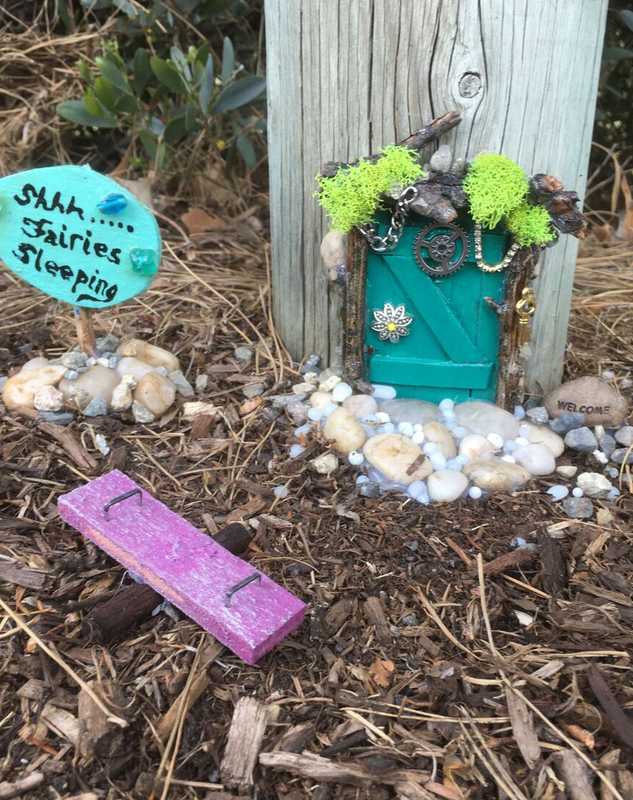 The lore is that the fairies flew back to Ireland while he tried to secure them another home. 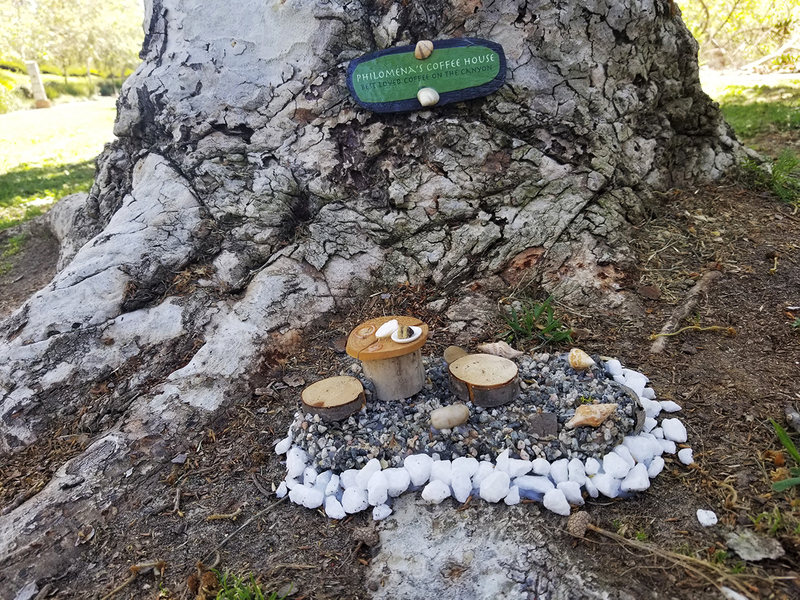 He found it at Oso Creek Trail, which he says was “a perfect fairy land already” because of the tall sycamore trees, the creek that flows through the center, and the wildlife that scamper through the park. After a couple months of planning and seeking approval from the city, the homes started appearing. It took Frank and Mason, along with a few helping hands, 20 hours over two weekends to install the homes. The two wanted to keep the trail accessible, which was a problem at the Aliso Creek Trail. 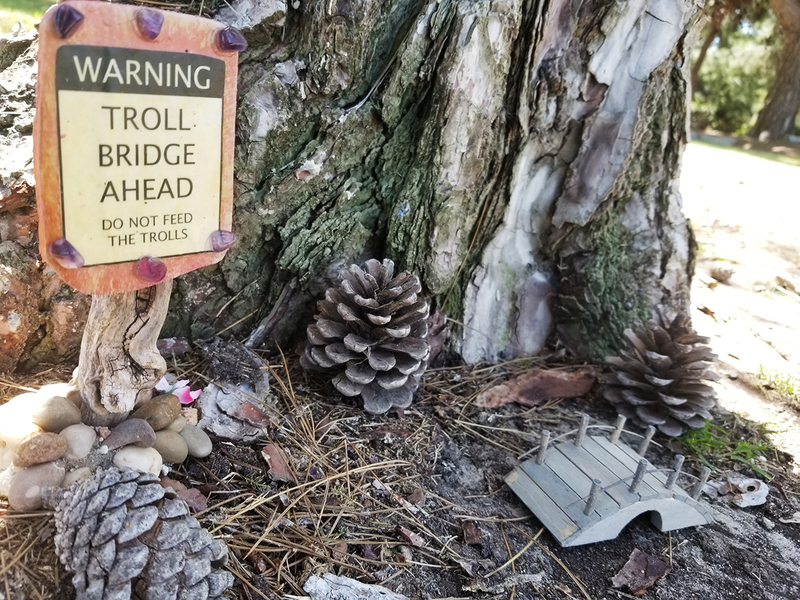 Here, over half of the 1.5-mile trail is paved, allowing families with strollers or wheelchairs to go fairy watching, though some homes are hidden beyond the paved trail. 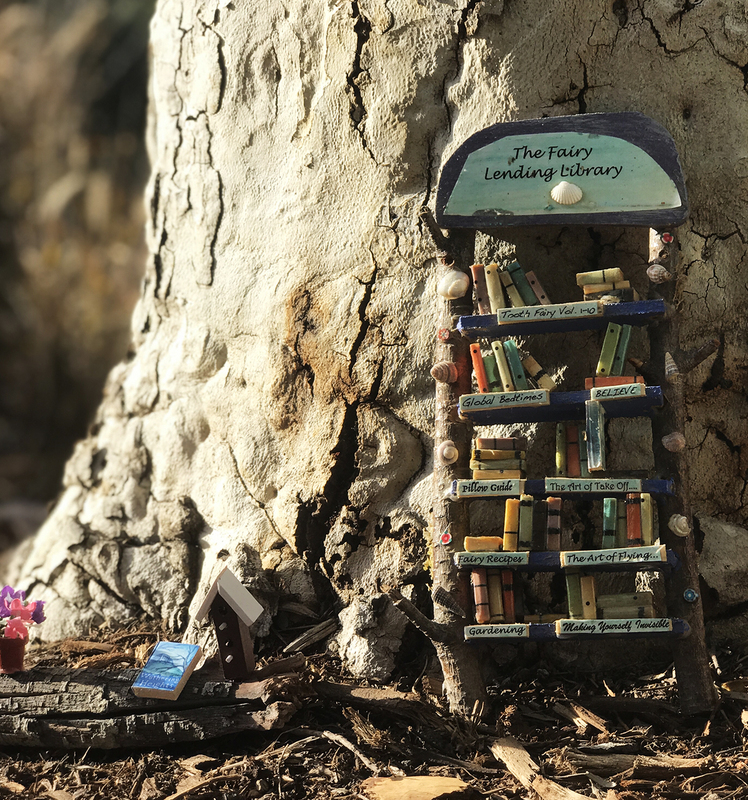 Sights include Fairy Lilly’s seashell-decorated castle, a cricket amphitheatre, a fairy-sized coffee shop, and a pesky troll’s home that will pop up in different locations. 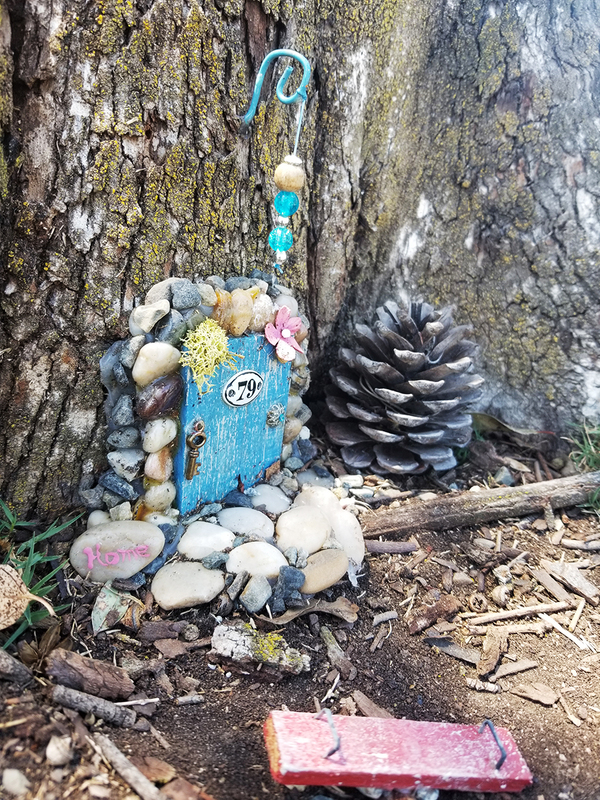 Though there are around 50 doors, Mason said the number of homes and structures fluctuates because children like to play with the decorations, sometimes damaging them, and visitors like to contribute to the project, often bringing their own decorations or fairy homes. Being so close to a junior high school doesn’t help. 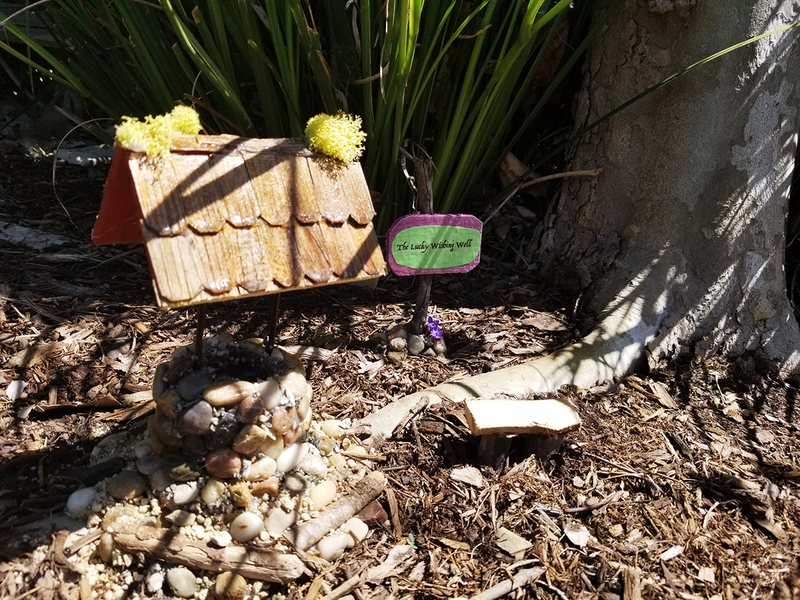 Though the fairies haven’t officially moved in, Frank believes the proximity of the school has already contributed to the frequency of missing pieces. 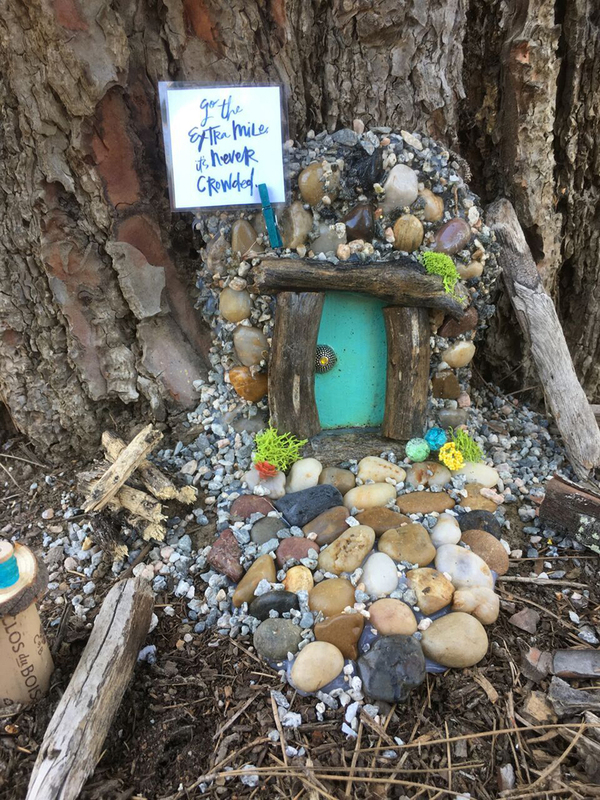 But Frank and Mason know that this is the nature of such exhibits and have enlisted about 12 volunteers to help maintain the trails, manage repairs, and update the daily mysterious notes hanging on some of the fairies’ doors. 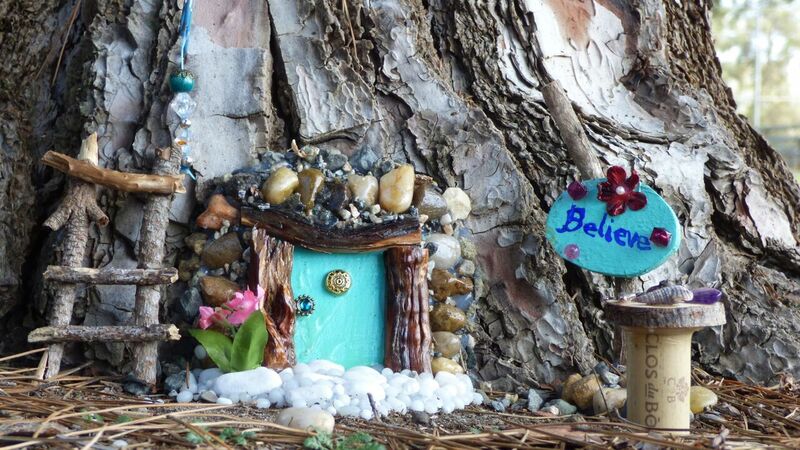 They’re also using this as an opportunity to host fairy-themed classes at the nearby Potocki Center for the Arts. The first classes will be held at the Arts Alive & Street Painting Festival, priced at $10 for children five years and up. They’ll likley resume in June depending on the response they receive. 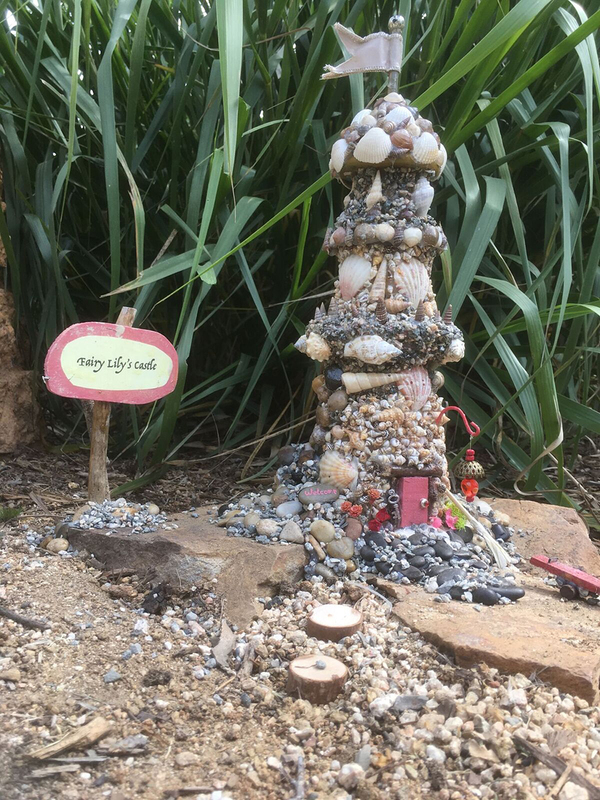 The workshops will give children the opportunity to build fairy homes and gardens themselves, which can be then included along the trail. There’s no cost to visit the trail, but to help fund supplies, maintenance, and training for volunteers, Frank is seeking donations with a goal of $10,000 by October. Parking is available at the Potocki Cener for the Arts, the Norman P. Murray Center, and Oso Viejo Community Park.